You are here: Home / Obituaries / Franklin W. Kinnamon, Jr.
Franklin W. Kinnamon, Jr., 80, of Lancaster, PA passed away February 16 at the Glen at Willow Valley. Born in Dover, DE, he was the son of the late Franklin and Ellena McCullough Kinnamon. He was the husband of Marlyn A. Kinnamon. Frank was a graduate of Valley Forge Military Academy in Wayne, PA. He proudly served in the United States Air Force during the Korean Conflict from 1952-1960. He was employed by the State of Delaware in Facilities Management retiring in 1991. He was a member of the Presbyterian Church of Dover since 1949 before moving to Willow Valley in 1995. He is currently a member of First Presbyterian Church in Lancaster. He was a member of Union Lodge # 7 A.F. & A.M., Dover, a lifetime member of American Legion Walter L. Fox Post No. 2 and the Korean War Veterans Association. He was a collector of military patches and enjoyed sharing them with his friends. In addition to his wife, Marlyn, he is also survived by some cousins. Relatives and friends are respectfully invited to attend a graveside service at The Dover Presbyterian Churchyard, South Governors Ave., Dover, DE on Thursday, February 21at 11:30 a.m. If desired contributions in Frank’s memory may be sent to First Presbyterian Church, 140 E. Orange St., Lancaster, PA 17602, or Mathias J. Brunner Nursing Education Fund, Willow Valley Retirement Communities, 600 Willow Valley Square, Lancaster, PA 17602. 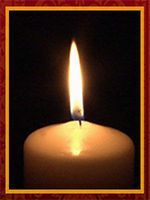 Offer Condolence for the family of Franklin W. Kinnamon, Jr. I read of Frank’s passing this morning & my heart aches for you. We are never ready to lose the love of our life! My memories of you & Frank are such happy ones; the laughter we shared while walking around the Manor & visiting with Norm & Verna & your introducing me to the little people! My most sincere sympathy is with you. I have found that the wound of loss does heal, but it forever remains raw around the edges. Know that God is with you..”He always gives us what we need, not what we deserve”. When you feel up to it, please get in touch. 664-6426. Please accept our sincere condolences. We plan to see you at the services on Thursday. My sister (Betty Shockley Osterhout) and I heard of Frank’s passing in Church from Pat Clark. We wish you our deepest Sympathy on the loss of your beloved husband. Your memories of your time together will help ease the pain of your loss. If we can be of any help please free to contact us. We both still live outside of Kenton. Again our condolences on your loss. Sorry to hear of your loss. Our thoughts and prayers are with you at this difficult time. God is merciful, and we will meet again. you were always at each others side and it made the two of us hold hands a little harder when we would see you two together. We were so sorry to hear of Mr. Kinnamon’s passing. Though I haven’t seen either of you in a number of years I always enjoyed spending time with you when we lived in Fairfield. Mr. Kinnamon always treated me like I was his own and I still remember all the times you squeezed my face to give me a kiss. You are in our thoughts and prayers always. So sorry to read you have lost your beloved husband. This is the most difficult time you will ever go through. We always think we cannot go on without our mates but with the grace of God and our precious memories we do survive. When our time comes and the Lord calls us home, he leaves a beautiful gift of memories in exchange.